In July 1863, when the battle of Gettysburg occurred, John and Caroline Rupp lived in the southern part of town, not far from the base of Cemetery Hill. The couple had six children ranging in ages from 6 months to 13 years. John operated a successful tannery near the family's home close to the intersection of Baltimore Street and the Emmitsburg Road (today's Steinwehr Avenue). When fighting began on July 1, the Rupps went across the street to Soloman Welty's house and hid in the Welty's cellar (Mr. Welty was one of John's closest friends). The Rupps returned to their home that same night, and when the fighting resumed on July 2, the Rupps hid in their own cellar. That night, John's father arrived and took Caroline and the children to his home, about eight blocks away at the corner of York and Stratton streets (in the northwestern part of town). The journey was perilous, as all of the streets in town were occupied by soldiers—many of them sharpshooters who were firing at anything that moved or made a sound. John Rupp stayed behind and spent the next two evenings in his cellar, not emerging until major fighting ceased by the morning of July 4. 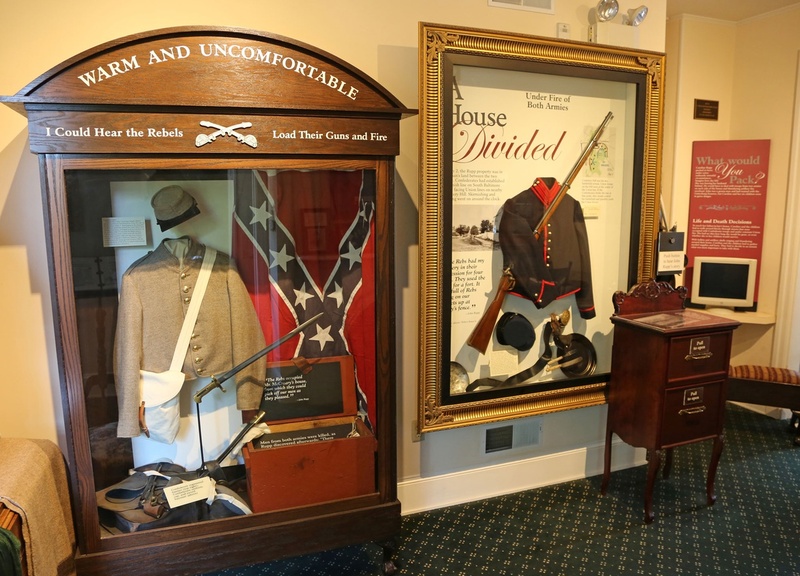 The Rupp House History Center offers visitors a glimpse of civilian life during the Civil War, particularly the John Rupp family who lived here during the Battle of Gettysburg, and the soldiers who fought in and around Gettysburg, through interactive displays and hands-on exhibits. The public is invited to explore the lower level of the Rupp House for free. Exclusive Friends of Gettysburg merchandise is available to members at a 10 percent discount with proceeds benefiting battlefield preservation. Patron Members and above have access to Barbara's Library. Named to honor the memory of Gettysburg Foundation Vice-Chair Barbara Finfrock’s great-grandfather Martin Finfrock, who served with the 147th Ohio Infantry in Gettysburg, and her parents, Frank and Dorothy Finfrock, the library houses materials of interest to Gettysburg enthusiasts. 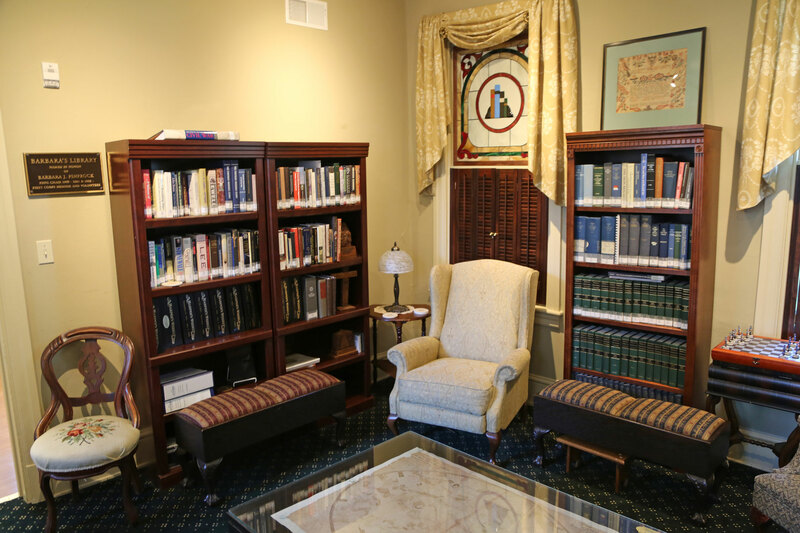 Among the library’s collection are scarce resources that are available only by appointment at the Gettysburg National Military Park’s library and archives. Some of these include information on the damage claims of the Gettysburg residents and farmers, African-American property owners, an index of the 1860 Gettysburg census and historical photographic prints procured from the Park’s archives. Internet connections are also available to members who wish to bring their own laptop. The Rupp House History Center is free and open to the public on weekends April through November. April 5 - October 27, 2019: Fridays and Saturdays from Noon to 8 p.m.; Sundays from Noon to 5 p.m.
July 1 - 4, 2019: Noon to 8 p.m.
Special Days: Memorial Day, Labor Day, Veterans Day: Noon to 5 p.m. and Remembrance Day: 10 a.m. to 5 p.m. 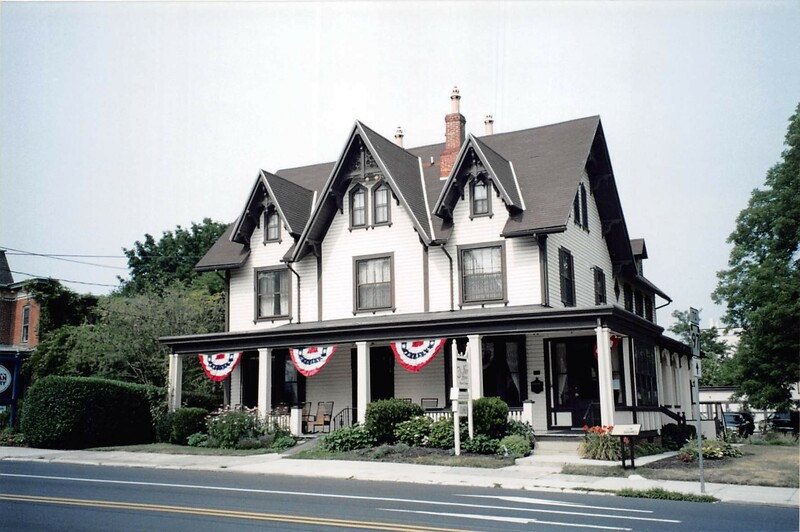 Located at 451 Baltimore Street in downtown Gettysburg, the Rupp House History Center is within driving distance of the Gettysburg National Military Park Museum and Visitor Center and Gettysburg’s town square and within walking distance of the Soldiers’ National Cemetery and several hotels and restaurants. Leave your car at the Visitor Center and take the free shuttle from Freedom Transit. Shuttles pick up and drop off from the Flag Plaza at the Visitor center throughout the day. Find shuttle information. "Civil War Activities," offered on some weekends in April through November, are free and open to the public from 10 a.m. to 4:30 p.m. Check back for updates on the schedule of events for 2019. “Courtyard Chats” take place in the courtyard at the rear of the Rupp House on some Saturdays at 6:30 p.m., April – September. Talks last approximately one hour. Check back for updates on the schedule of talks for 2019. Evening "Fireside Chats" are hosted in the side yard of the Rupp House on some Saturdays in 2019 at 7:30 p.m. Talks last approximately one hour. Historians from the Officers for the Union host the talks. Learn more.